Coat butternut squash with lard or butter, sea salt, and pepper. Bake in oven at 450 degrees Fahrenheit for about 15-20 minutes until slightly crispy. On stovetop, sauté onions in lard or butter until onions are clear. Add broth, lemon juice, spices, cheeses, cream, and spinach. Simmer until spinach looks wilted. Add chicken and baked butternut squash cubes. 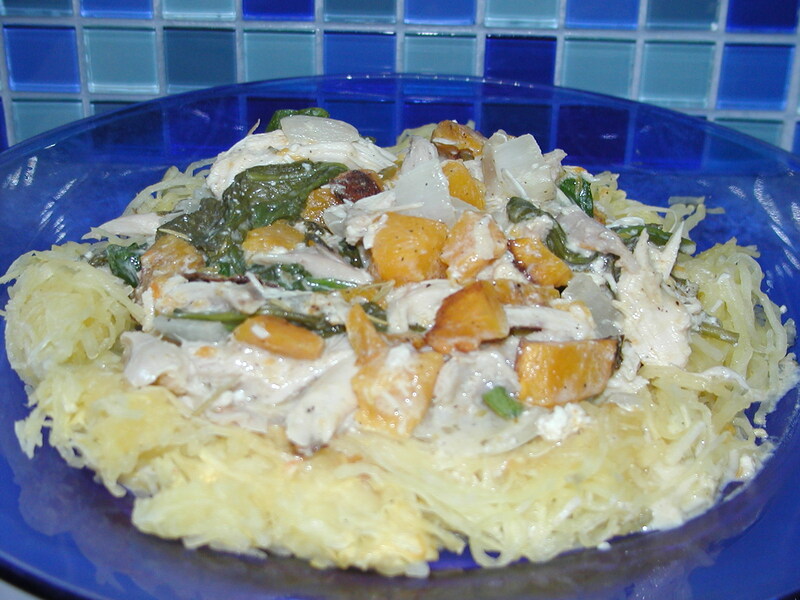 Serve over spaghetti squash noodles, caulifried rice, or plain cauliflower rice. Enjoy!